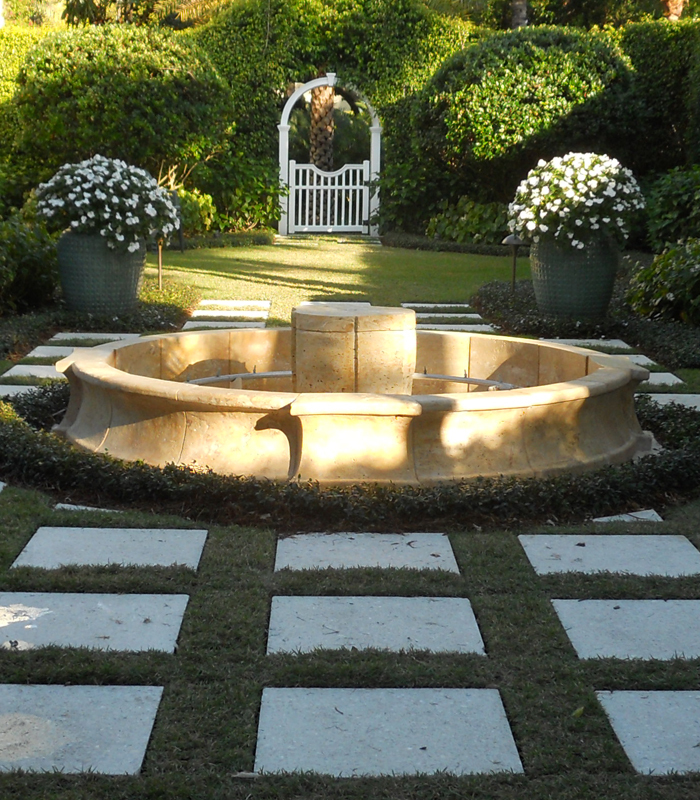 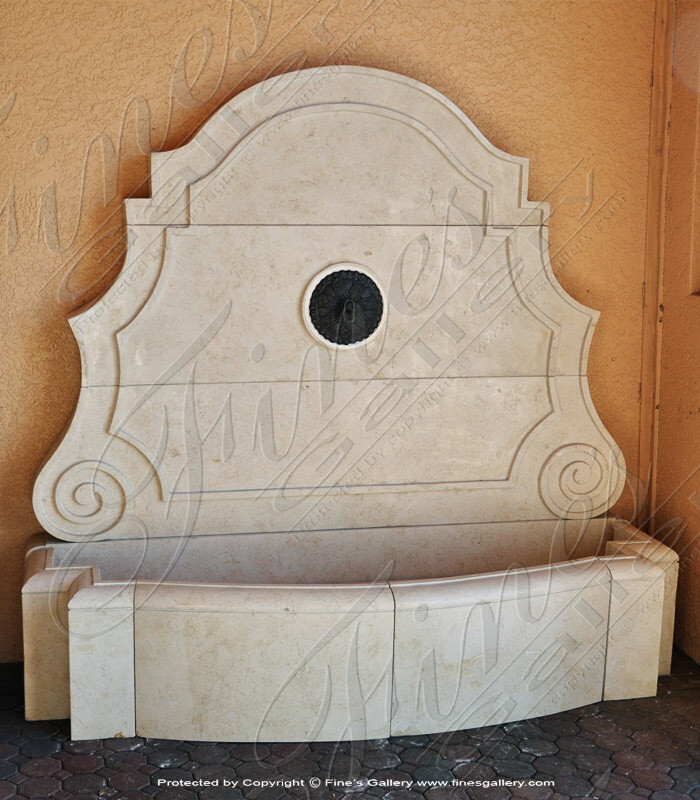 This old world Rustic Tuscan Travertine Wall Fountain is a perfect addition to your outdoor garden area. 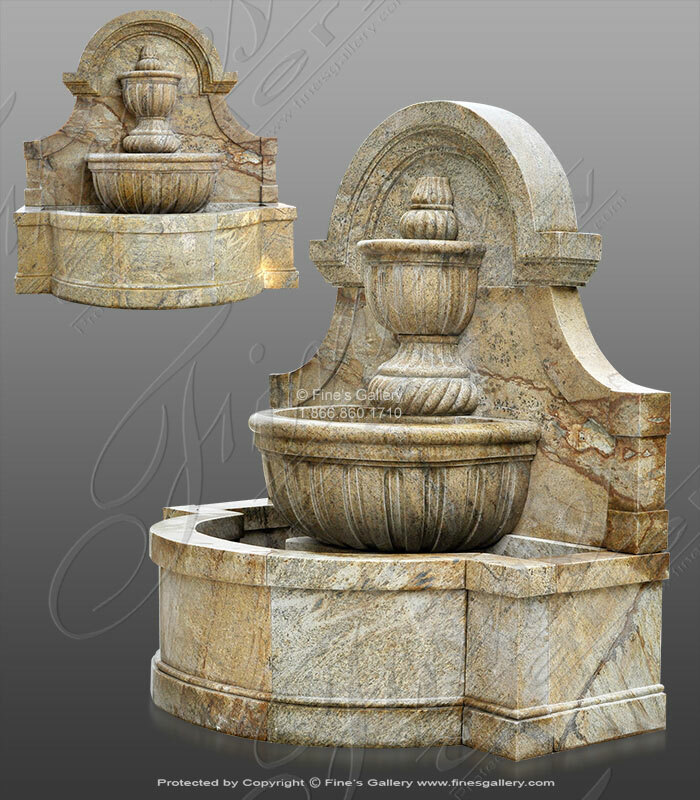 The light beige natural stone with natural imperfections is going to set your estate apart from the run of the mill fountain feature. 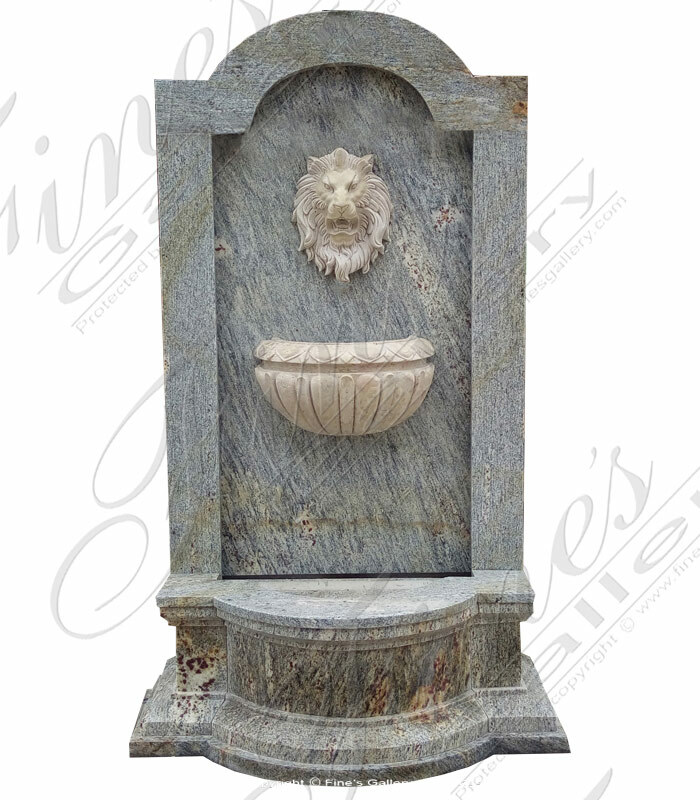 Roman Majesty Granite Wall Fountain featuring gray earth toned granite structure and mounted antique light beige travertine lion head wall mount. 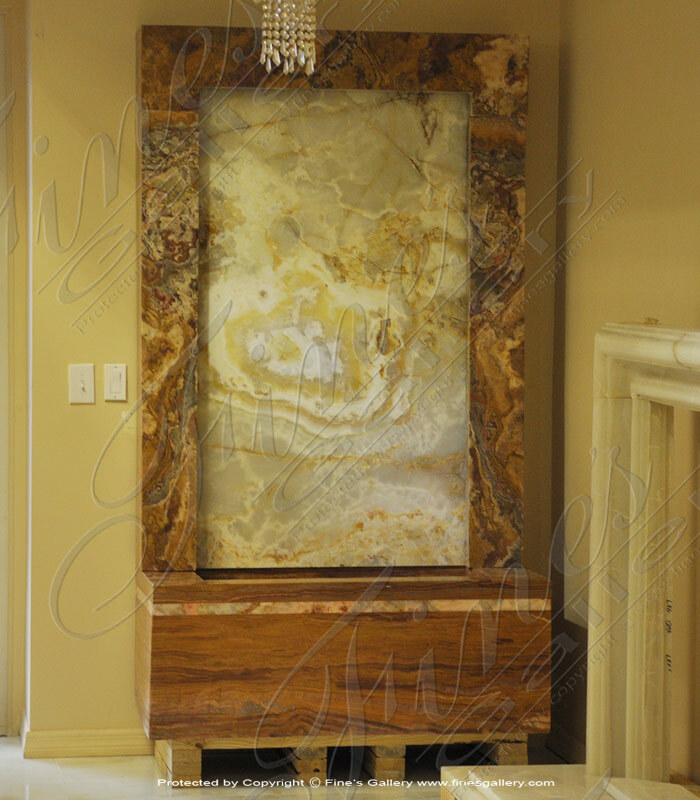 This stunning structure is going to fit a more clean lined transitional tuscan themed residence perfectly! 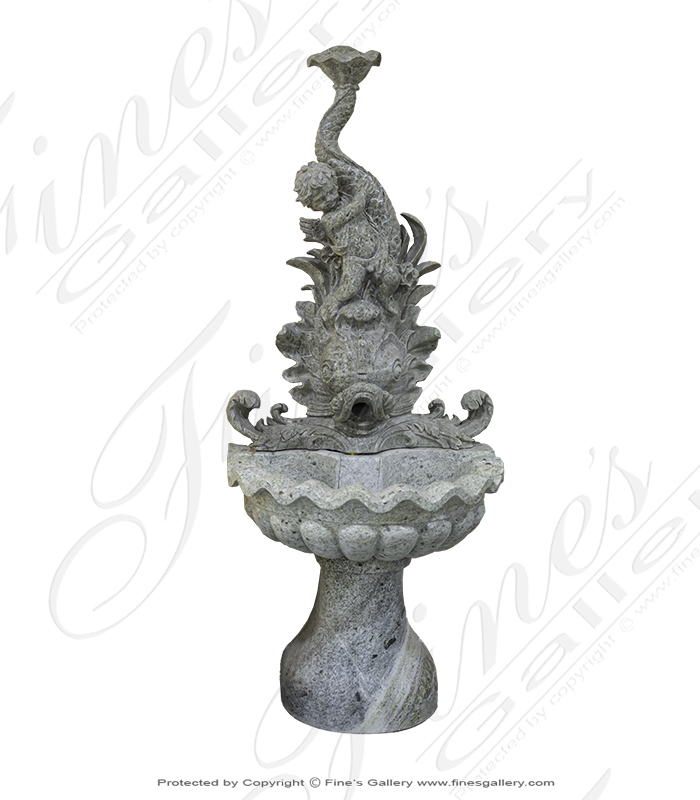 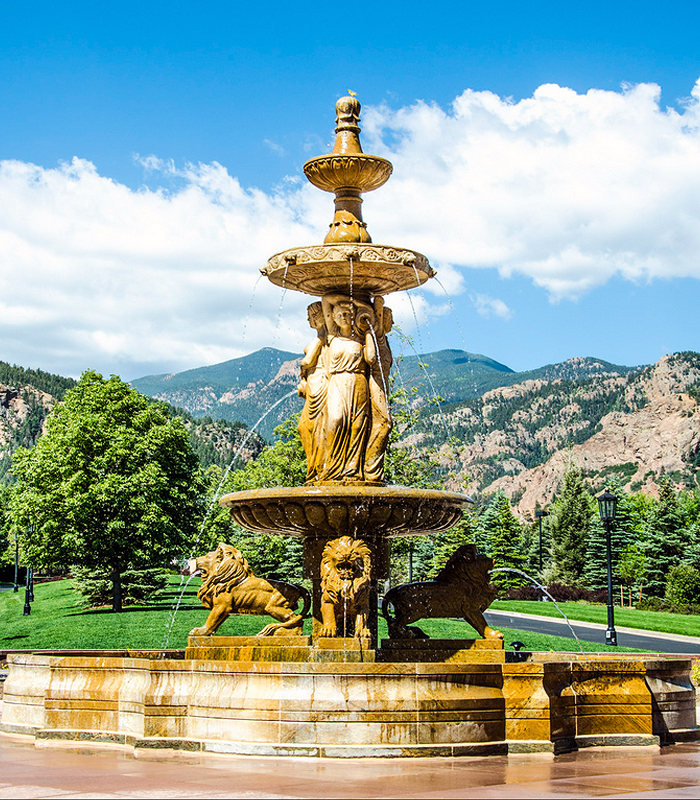 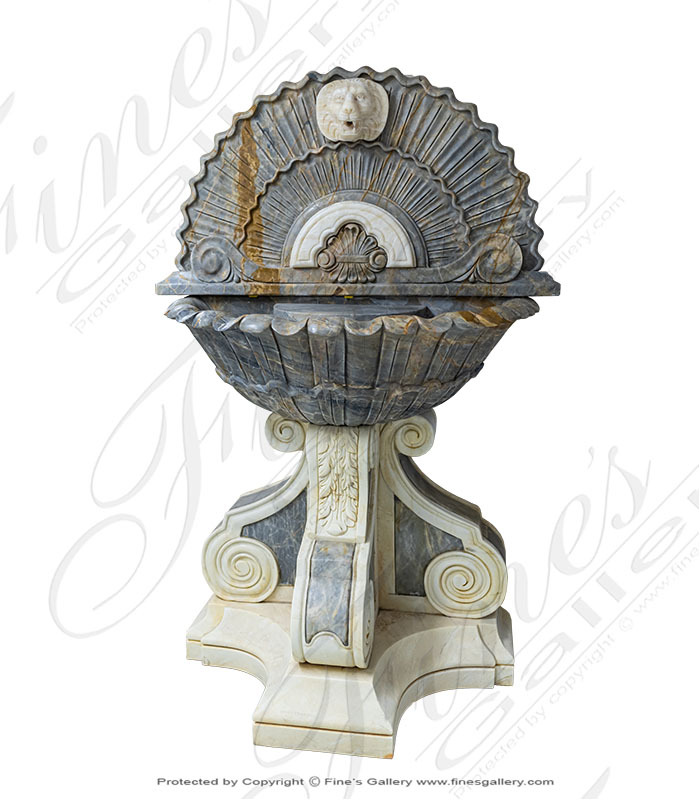 Old World Natural Stone Wall Fountain featuring rustic antique gold granite with shell motif throughout the arched top finial and fountain bowls. 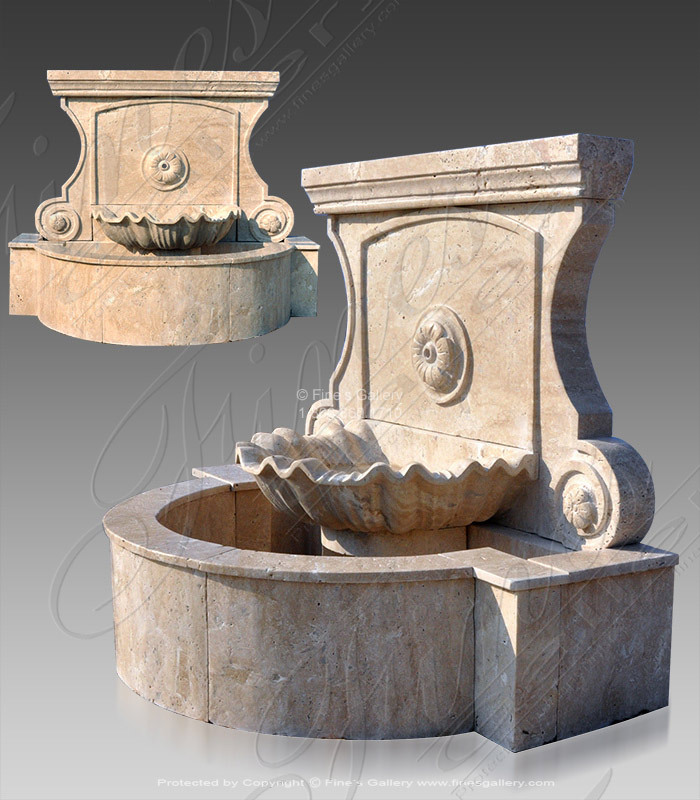 Meshes well in a simple clean lined transitional design concept as well as countryside and tuscan. 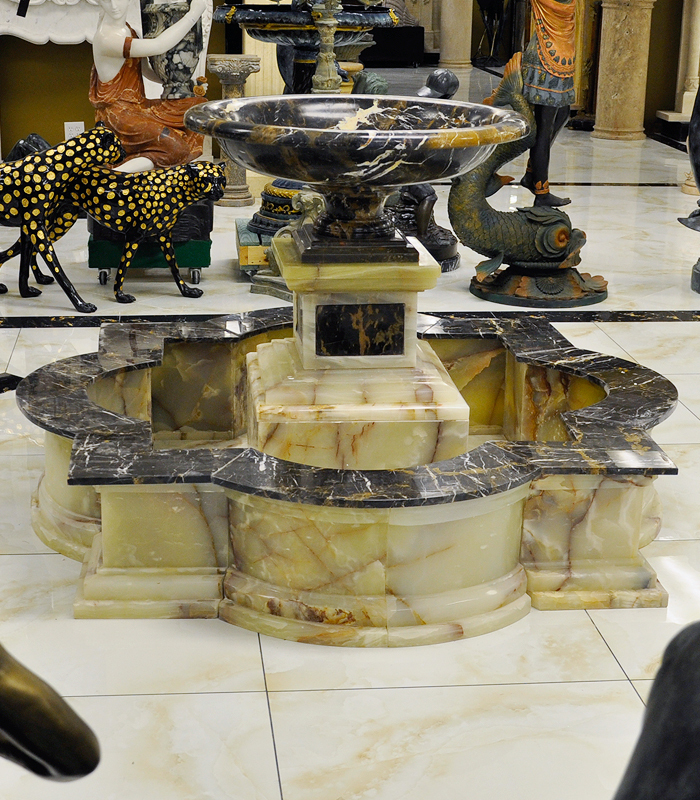 White Marble Lion Fountain. 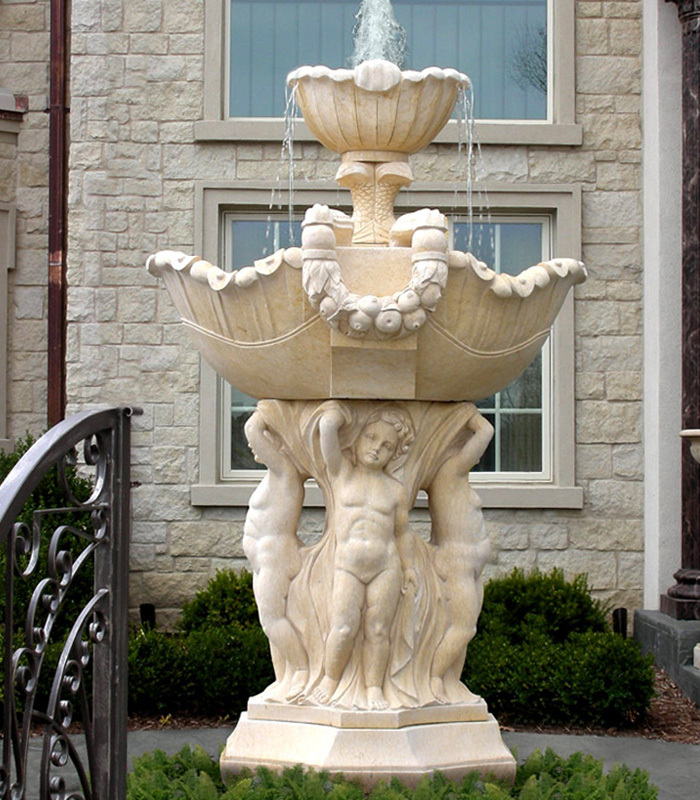 Lion head measures 21 in x 14 in x 11. 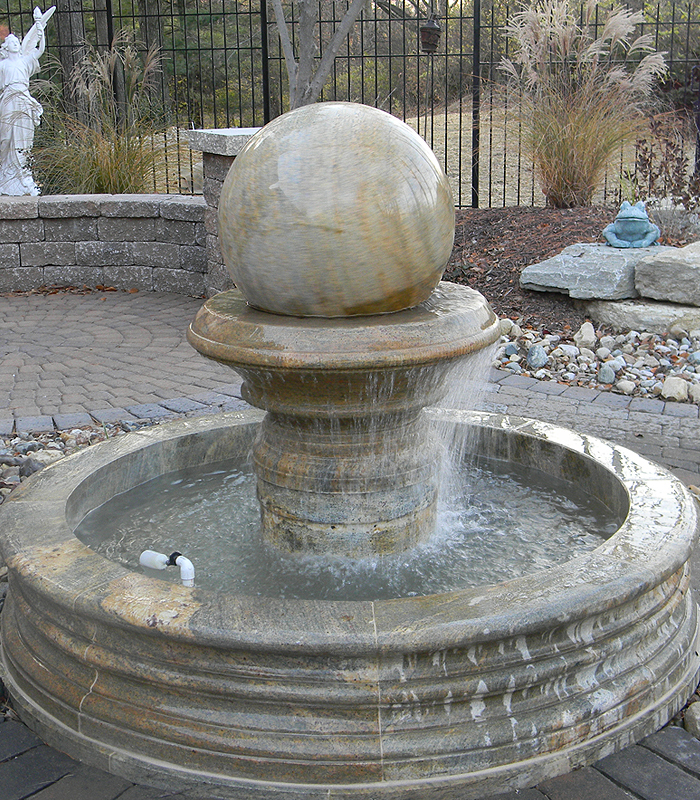 Bowl measures 32 in x 18.75 in x 21 in. 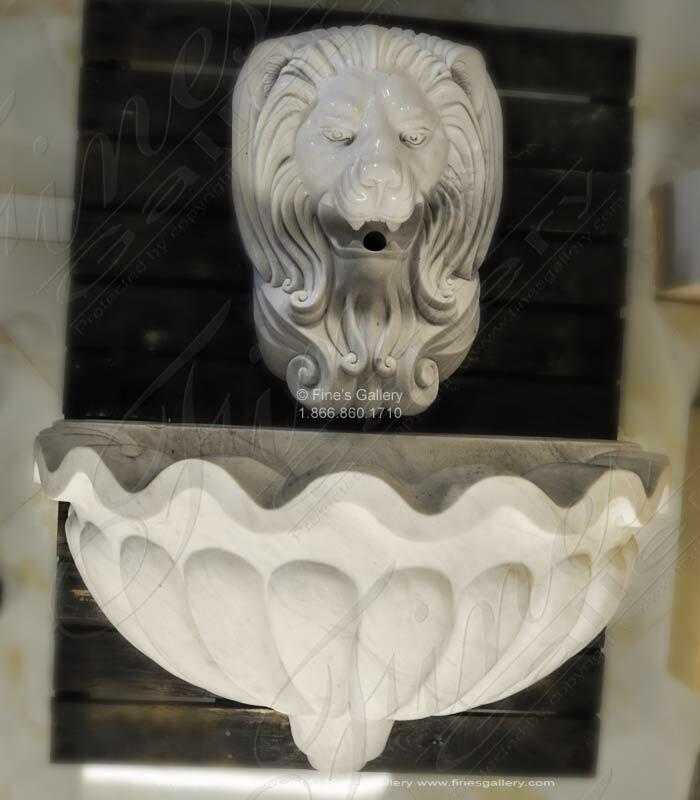 This lion head and catch basin can mount into a concrete structure. 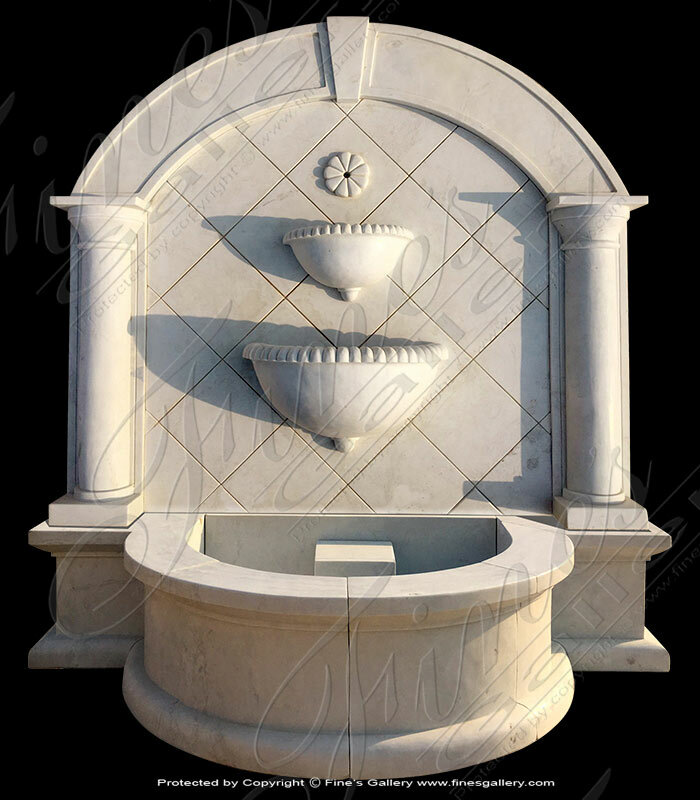 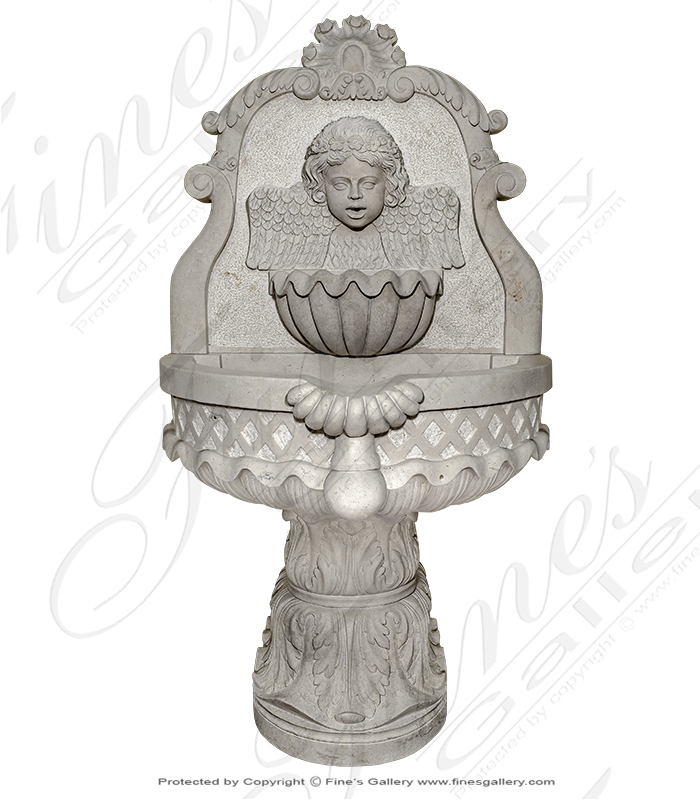 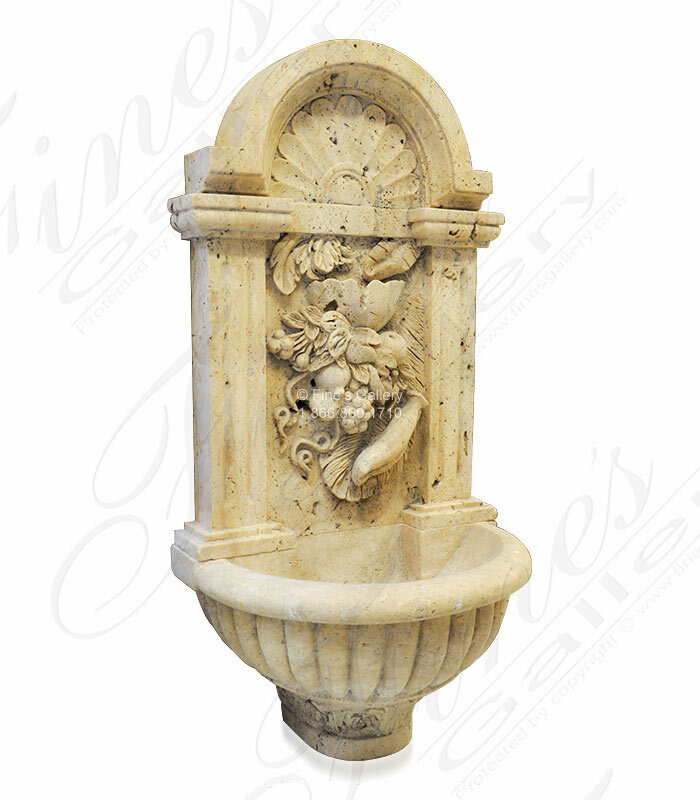 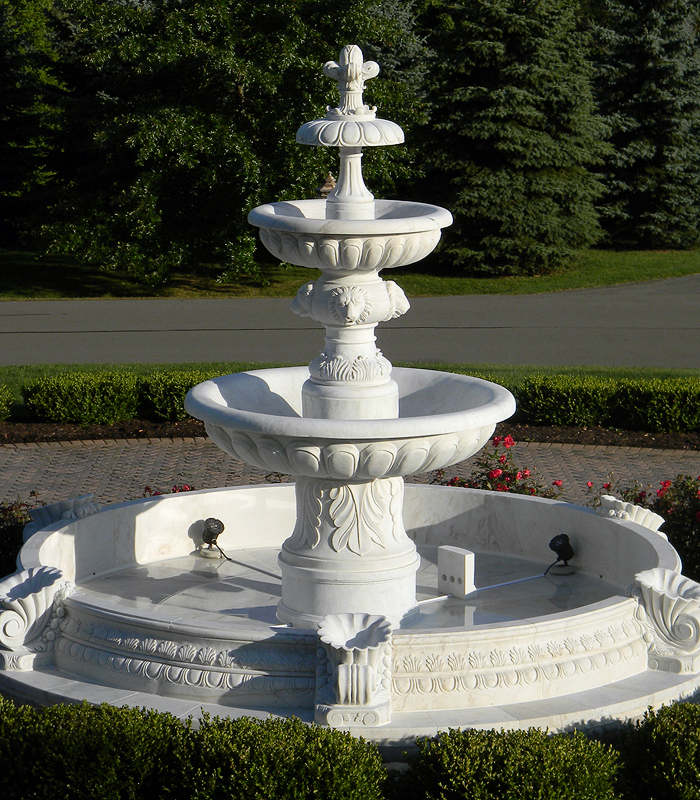 Roman style hand carved natural solid pure white marble fountain feature. 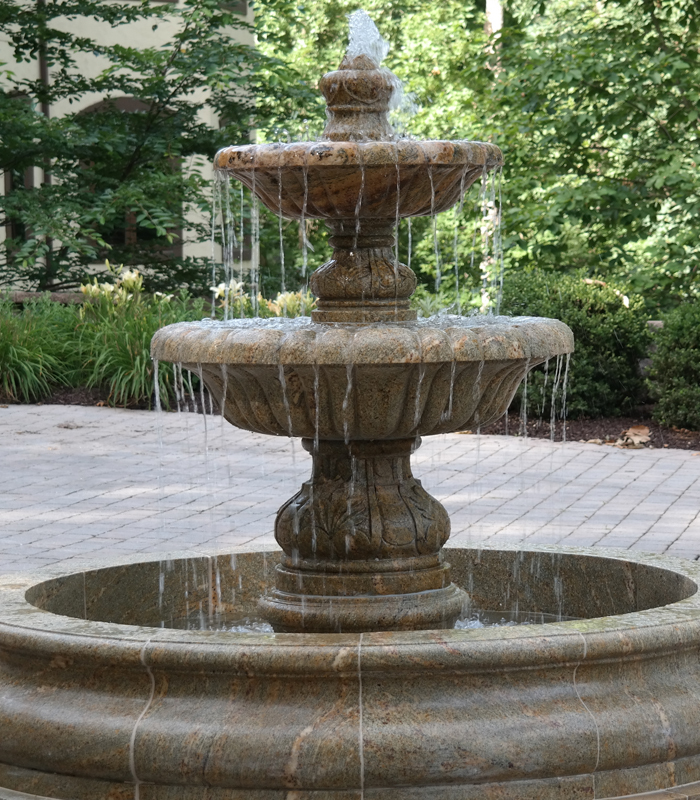 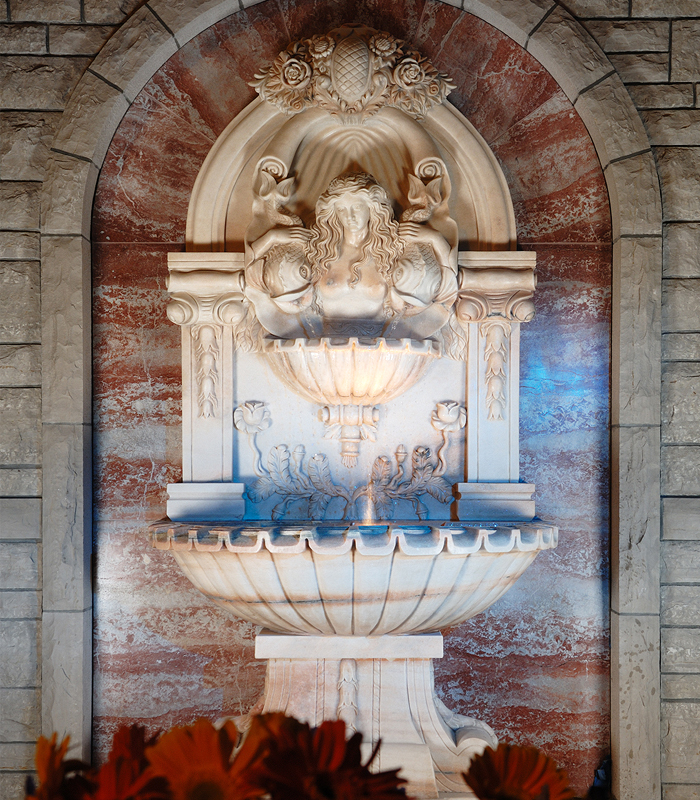 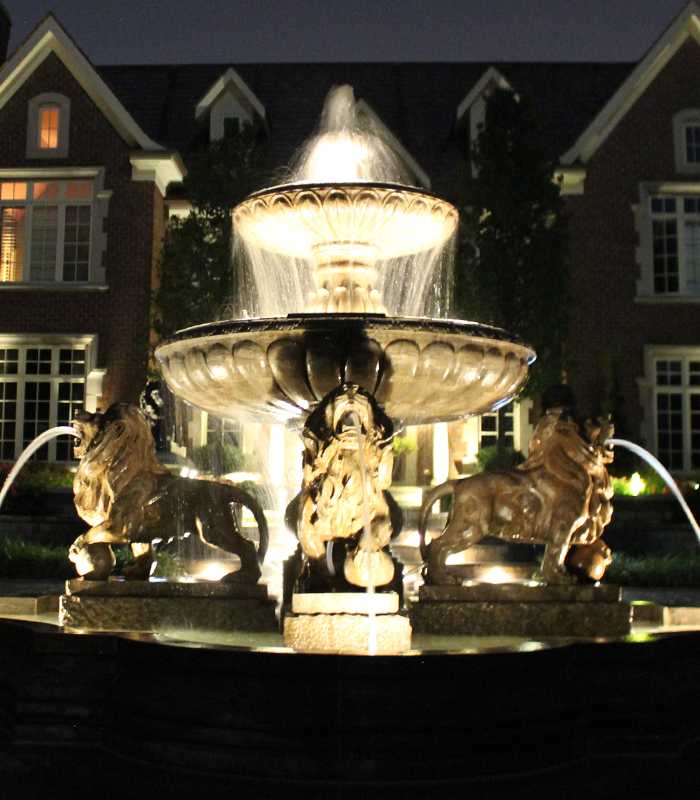 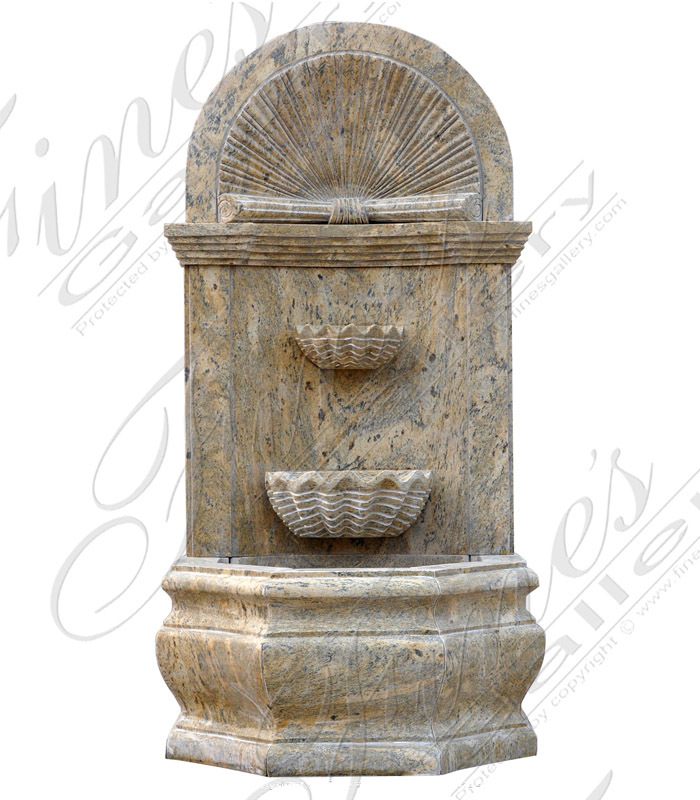 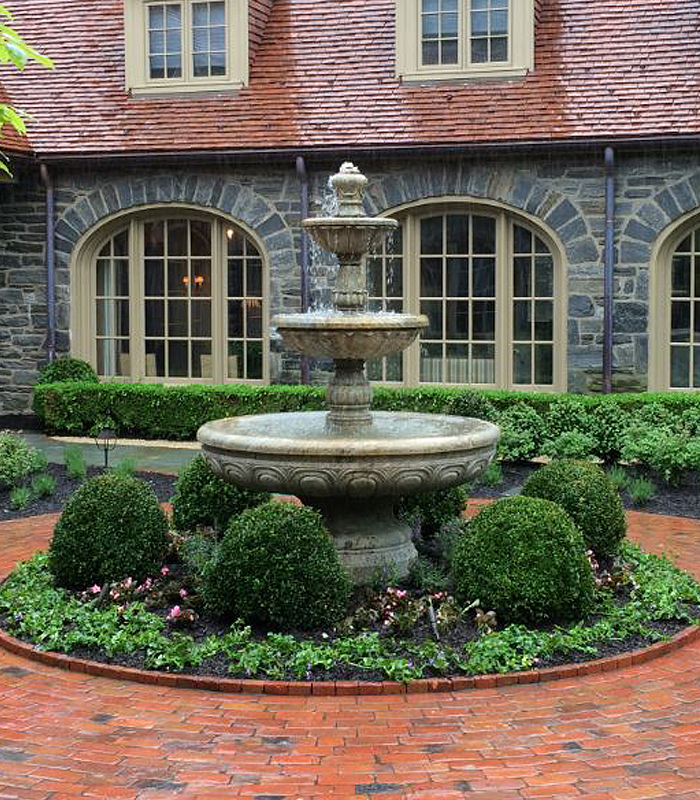 Rustic European Granite Wall Fountain designed with old world charm in mind. 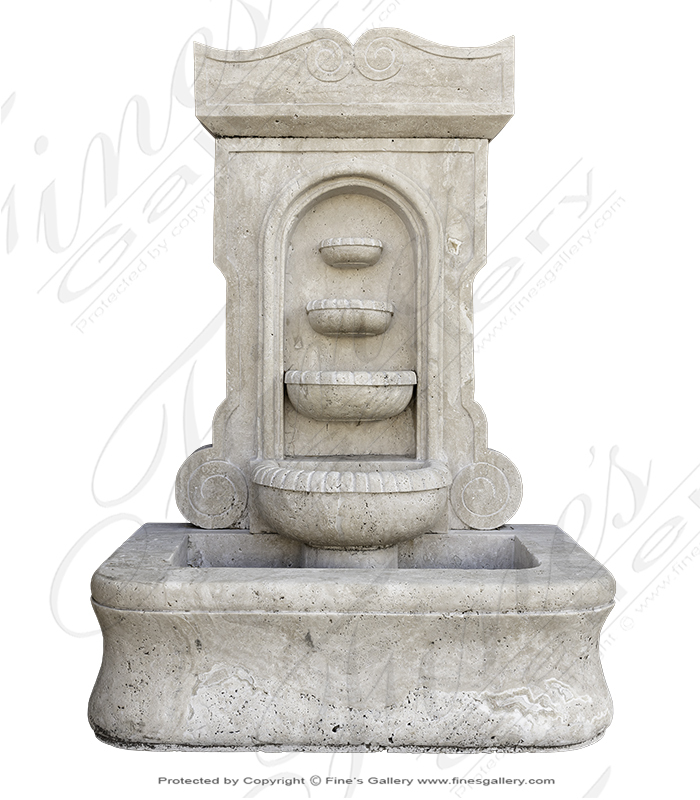 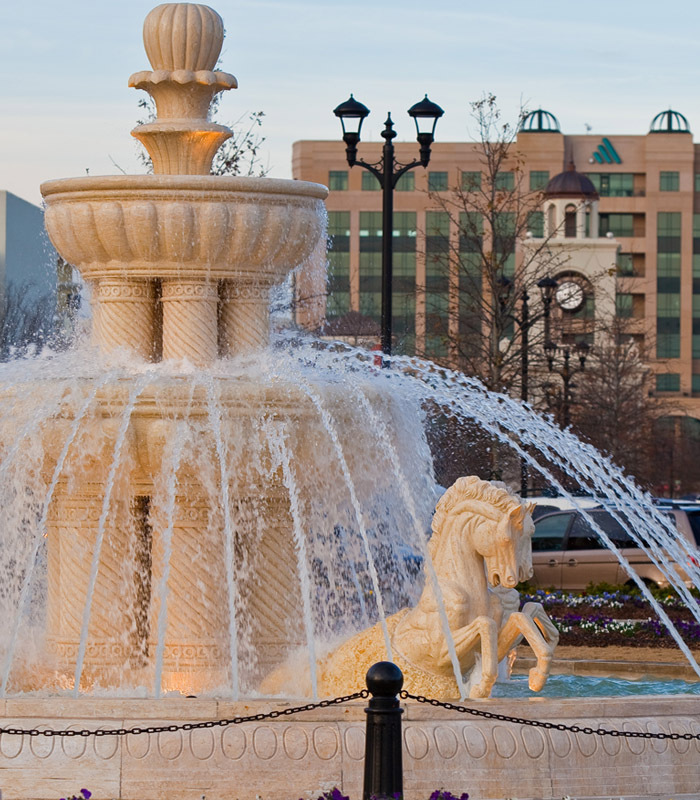 This wall fountain ties in the ever popular tiered fountain element. 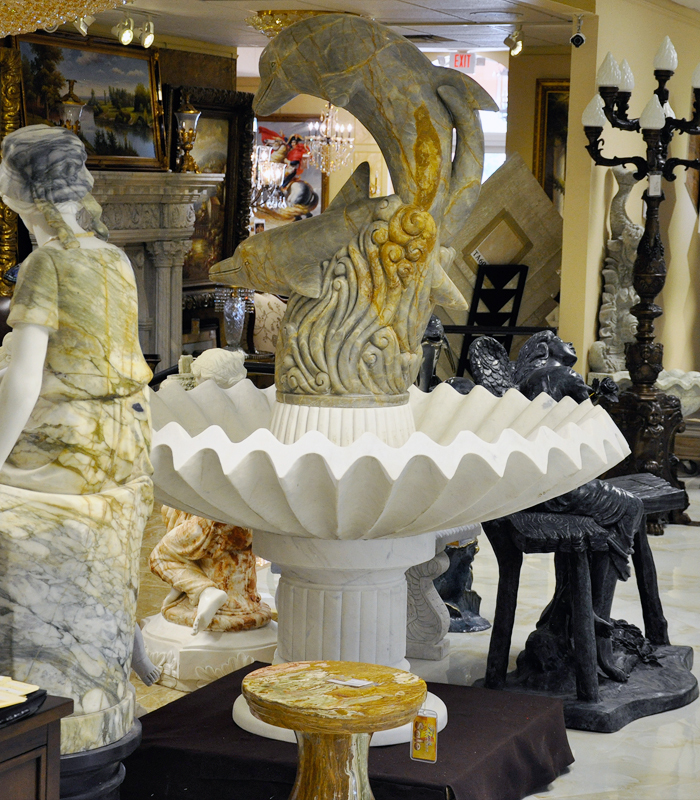 A mediterranean masterpiece available for delivery to all of US, Europe and South America. 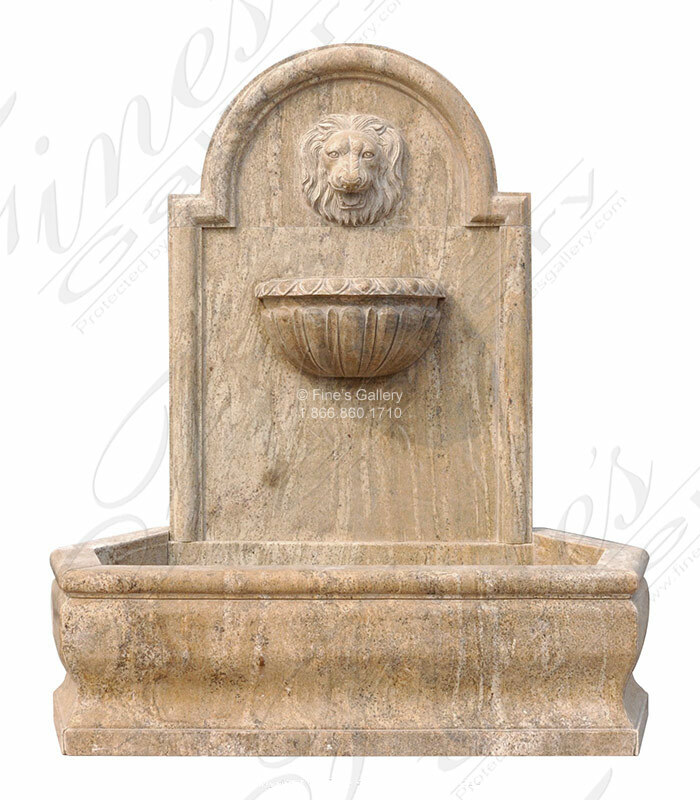 Majestic Marble Wall Fountain featuring majestic marble lion head and floral carving detail throughout. 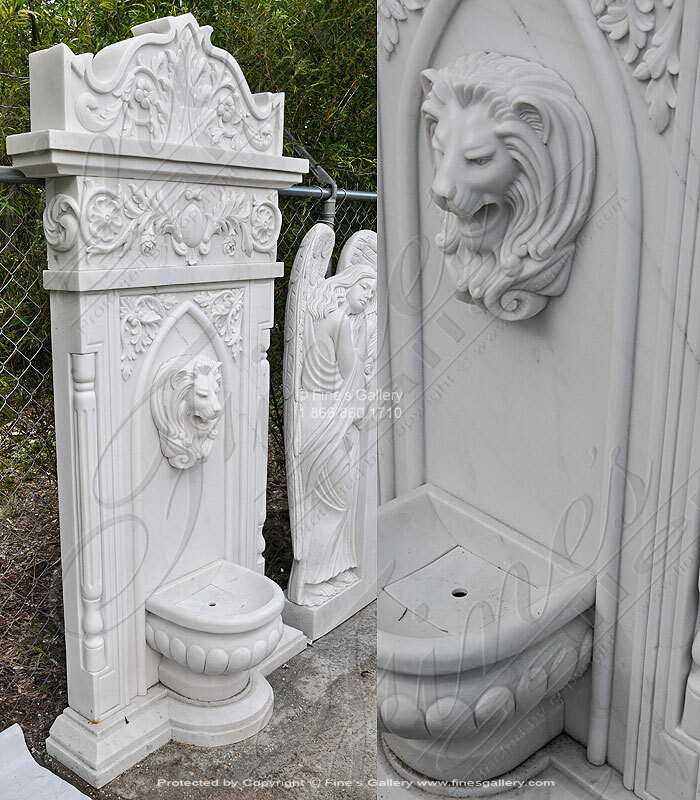 Beige Marble Wall Fountain including lion head medallion and catch basin. 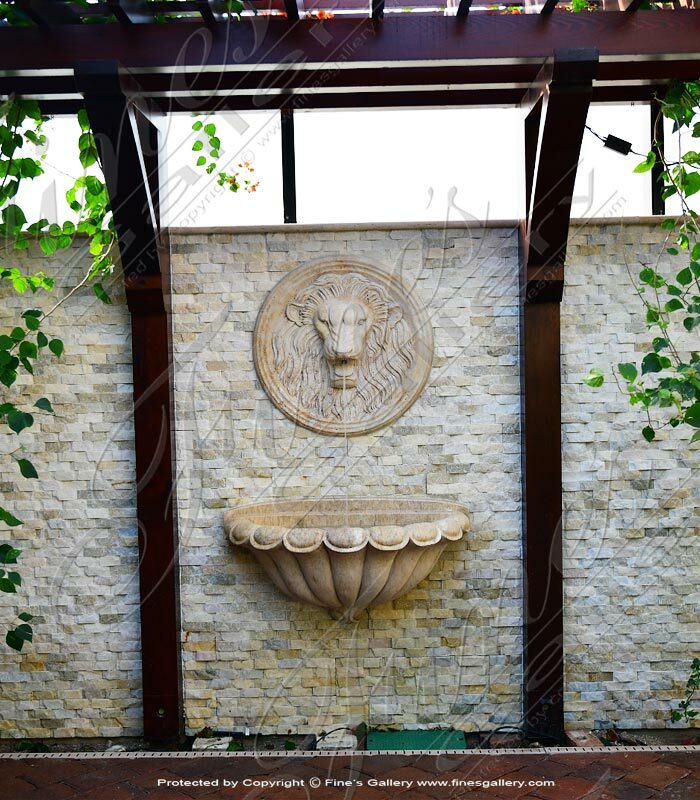 Travertine wall cladding available sold seperately.